Globe Tattoo Black is rolling out! this will be out in the market with two plans. Tattoo Black Plan 1799 - Plan 1799 comes with free USB dongle and runs at speeds of up to 28 Mbps. Tattoo Black Elite 2499 - Plan 2499 comes with free USB dongle and runs at speeds of up to 42 Mbps. Plan 1799 comes with free USB dongle and runs at speeds of up to 28 Mbps. 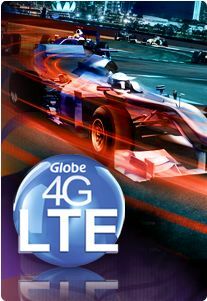 Customers have the option to upgrade their device to a SuperStick for a minimum additional charge of only P150 a month. Customers who will get Tattoo Black Plan 1799 will also enjoy discounts at partner establishments plus nationwide concierge assistance. And not just that, they will also make raffles for the consumer's of Globe tattoo Black, The price is a trip to Singapore Grand Race all expense paid.